Shopping for all natural personal care products can be hard to find for some, especially when your're trying to switch from chemical laden products to natural ones. 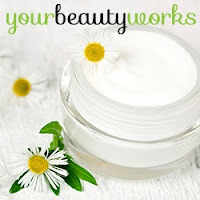 Yourbeautyworks.com has you covered! They've got some of my favorite natural brands like: Burt's Bees, Dr. Bronner's, Kiss My Face, Alba Botanica and Honey Bee Gardens. Whether your looking for all natural, organic, fair trade, cruelty free, organic and vegan products or product specific, you will find everything you need from Skin Care, Haircare, Make-Up to Fragrances, and there's a section just for Men. So whether your a natural newbie or a vetran, this is a great place to shop for your personal care needs. You can check them out at: www.yourbeautyworks.com. You can also follow them on their Twitter and Facebook pages.